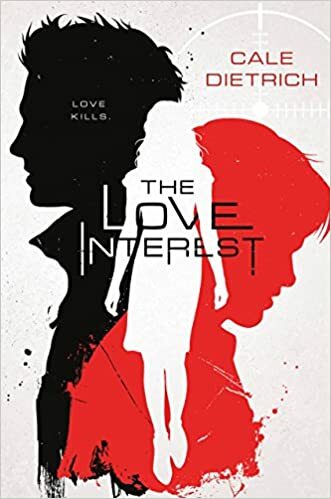 My Thoughts: THE LOVE INTEREST was an engaging story that worked if you didn't think about it too hard. Apparently there is a secret organization the raises children to be Love Interests to be foisted onto people of interest to the organization. The boys are divided into Nice and Bad. A Nice renamed Caden is set to win the heart and hand of Juliet because the organization has plans for this scientific genius. But the organization hedges its bets by also assigning a Bad named Dylan to the task. The winner gets to live while the loser is killed. The story is told from Caden's point of view. He feels that he isn't really a Nice but he has learned to lie and play the game. Only he didn't expect to fall for Dylan instead of Juliet. He likes Juliet but his heart belongs to Dylan who seems to return his affection. The romance was sweet with Caden realizing that he is gay and falling for Dylan but having to hide his orientation in order to convince Juliet to chose him over Dylan. A lot of the sexual tension is the book came from the conflict between what Caden's heart wants and what his head demands. Fans of science fiction, LGBT romance, and conspiracies will be a good audience for this story. I exhale, but my heart is still beating really hard. This is a thing that happens to people. It's not unprecedented. It's, like, a legitimate thing. And that thing that happens to people? It's clearly happening to me. Because, all of a sudden, all I can think about is what it would be like to hold his hand. I received this one for review from Macmillan. You can buy your copy here.